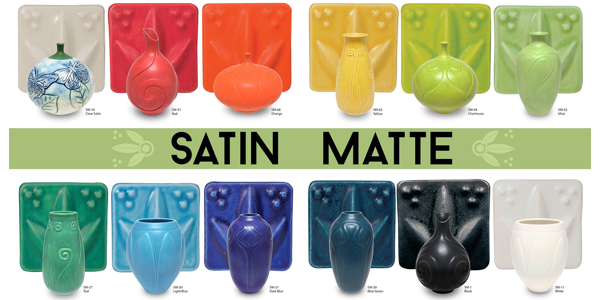 June Glaze of the Month: New AMACO Satin Mattes! These new vibrant glazes from AMACO provide a smooth, satin surface for Cone 5-6 stoneware and porcelain clay bodies. Glazes also provide a durable, non-glossy, weatherproof surface for sculptural and tile work, and are ideal for pottery as well. 100% dinnerware safe.